I'm not one to second-guess decisions. I'll agonize over options, like which new sofa to buy or what to have for dinner, but once the decision is made, I don't usually struggle with regret. 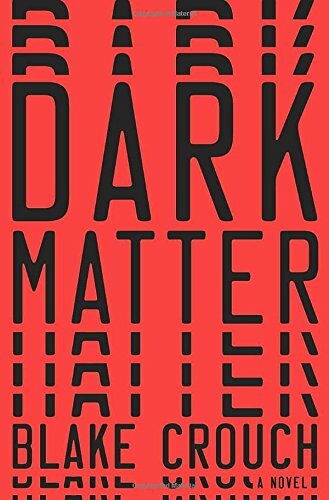 If you are the kind of person who frequently wonders what could have been if you'd made different choices, Dark Matter just might make your head explode. Jason is an introductory physics professor at a ho-hum college. He gave up a big high-powered research career to get married and have a family. Or at least, that's what Jason believes his life has been up to this point. One night, after being kidnapped and drugged, he wakes up on a gurney in a lab. The people there seem to know him, although he doesn't know them. He learns that in this world, his life is different. He doesn't have a wife or a son. His house has been transformed into a bachelor pad. And he's a wildly successful physics researcher. What follows, as Jason tries to figure out where he is and what is real, is a lot of scientific jargon that I won't attempt to explain because I know I'll screw it up. However, I can assure you that you don't need much background knowledge in physics or relativity to follow what's going on. Crouch is really good at simplifying concepts into layman's terms and working them into the narrative as needed along the way. Thus, Dark Matter felt nearly effortless to read, like the pages were turning themselves. A fast-paced, original thriller with a smart, scientific edge—just what your summer was missing. With regards to Crown Publishing and NetGalley for the advance copy. On sale July 26.